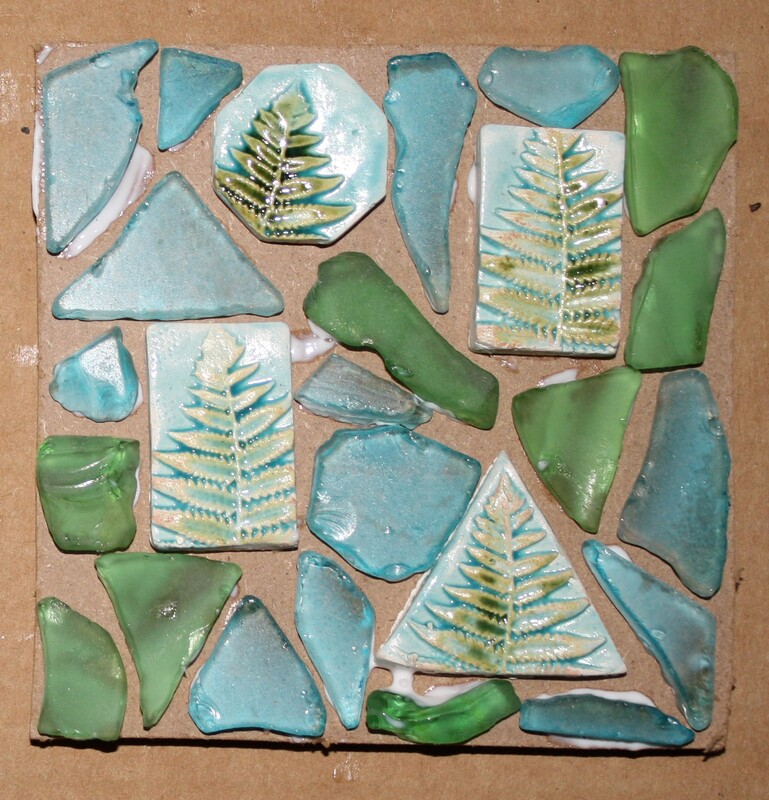 I love the ceramic tiles that I used tonight and I think they’re so pretty with the beach glass. It feels soft and relaxing to me like being in the woods or at the beach. That is so full of light. I feel like the ocean has gently washed those up on the beach.